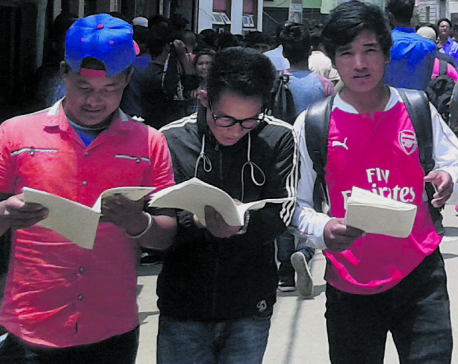 KATHMANDU, July 25: As many as 12,108 candidates have passed the Korean Language Test (KLT) held under Employment Permit System (EPS) for jobs in Korea for the year 2018. According to results published by the Human Resource Department of Korea, examinees securing 42 percent in agriculture and 44 percent in service sector have got through the test. “The number of candidates passing the KLT is more than the allocated quotas this year due to some technical problem (as the same symbol number is assigned to more than one examinee)’,” Baburam Khatiwada, Chief of Department of Foreign Employment, Korea Branch, told Republica Online. Korea has fixed 10, 500 quotas for the year 2018. 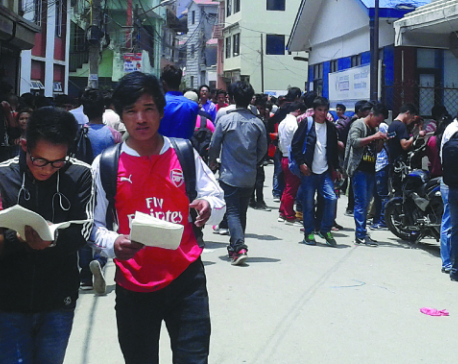 A total of 75, 580 examinee, who filled out exam forms, 68, 469 appeared the KLT on June 10 and 11. Those who have passed the test will fly to Korea from February 2018.